Montgomery, organiser of exhibitions including the FIT Show, has announced the launch of a new Design and Build division, and has appointed FIT event director Nickie West as its managing director. She will lead a portfolio which includes FIT Show, W Exhibition and Montgomery’s 50% of Surface Design Show. Reporting directly to Montgomery MD Damion Angus, she will keep the existing show teams in place to ensure consistency and retain knowledge. The role also sees her return to the place her career started, having originally worked for Montgomery. 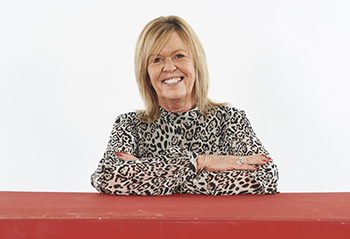 Damion Angus said: “We’ve worked closely with Nickie since acquiring FIT Show and it was very clear to us that she would be the perfect fit to not only lead our existing brands, but help us to grow our offering within the built environment space. Nickie West said: “There is already a large amount of synergy between the current brands. It makes complete sense to maximise the benefits of a shared audience, creating one portfolio for events within the home improvements, built environment and materials sector.